What is NEW at KnitCrate is the question of the day and Andrea was here to answer for us! As one of the few TOTALLY AWESOME sponsors of the Yarn Thing podcast with Marly Bird, we love getting updates on this growing company! Here is the link from KnitCrate’s earlier appearance from iTunes: The first one is October 2013, so just over a year ago: https://itunes.apple.com/us/podcast/knitcrate/id313541727?i=325128679&mt=2 (There are two links for that appearance, so in case the first one doesn’t work the perhaps the second one works for you… https://itunes.apple.com/us/podcast/knitcrate/id308943217?i=325185681&mt=2 ) Andrea says since the last time they were on the podcast their business has TRIPLED, they’ve added lots of amenities to their store to be included as needed to shipments. Also, they have added a third person to the team of Andrea & Joe, Joe’s mother has come on board and is the producer of the mini skeins! They have also started Newbies, a series of instructional videos that includes the yarn, needles and helps promote a beginner through the process of learning to knit. KnitCrate has really appreciated that a lot of their recognition comes from social media, so let me give you link to some of that for you. First Ravelry: They have a wonderful Ravelry Group with awesome moderators, a Facebook page, on Twitter they are @KnitCrate and they are on Pinterest. They have been very open about working with all different yarn companies and designers, they are working with Buffalo Wool Co for the month of December! (Another awesome Yarn Thing Sponsor!) Bijou Basin Ranch, A Hundred Ravens, were other names she dropped. As for the Yarn, right now the excitement is Madeline Tosh a special colorway for KnitCrate just for this season! Please click the links to get more information about it. The Try-a-KnitCrate for December is going fabulously as well, Andrea says now is the time to get in! I am intrigued by KnitCrate. I would love some beautiful wool to warm up my FROZEN fingers as I knit this winter. Thanks for a delightful interview! I think after I graduate from Newbies I will continue with a Sock subscription so my feet won’t be FROZEN :p This was a great interview and I’m really glad to hear someone point out that blogging isn’t easy! Also if you are on the fence about KnitCrate, trust me it is worth EVERY penny! When I’m frozen, knitting with your special Madeline Tosh colorway will warm my body and heart! With the cold weather approaching, working with wool helps keep me from being frozen. I’ve seen Lorna’s Laces make popular and beautiful colorways based on pop culture, I’ve glad to see MadTosh try this with Frozen. KnitCrate sounds awesome. Don’t leave me out in the cold and frozen lands! Love, love Madeline Tosh. The Loopy Ewe is our source. Just placed my order for Try It with Knit Crate. Frozen is the word. How do I use it? Not sure. But not Frozen right now. Just know that I can’t wait for my Try It. If I am not making sense right now blame it on Dewar’s – that’s right the Whiskey folks. Had too many. I enjoyed listening to your podcast today. I think the new word is Frozen – everyone loves the movie, from kids to adults. Frozen to me means Winter in upstate New York. Having warm yarn to cover our heads and hands help. I still haven’t seen the movie Frozen. Maybe if it’s on Amazon Prime, I can watch over the Christmas break. Our three granddaughters live with us and absolutely love the movie Frozen. I cannot get the songs out of my head after I have watched it with them. KnitCrate is such a great idea I definitely will be putting that on my Christmas list to Santa. Thanks so much for another fun podcast Marly! Don’t have kids but saw Frozen because I heard from other parents in my office who couldn’t stop talking about it. It’s such a cute movie. I loved hearing about Knit Crate. I’ve had the chance to try a subscription service yet. Been knitting for about two years and have learned so much from my knitting friends. KnitCrate looks amazing- I will have to start dropping hints for my gift this year! My daughter loves the movie Frozen, and I can’t get the songs out of my head either. Thanks again Marly for a wonderful podcast! I heard about KnitCrate the last time you interviewed Andrea, and am excited to hear that they are thriving and growing, though I haven’t had a chance to give them a try yet. At this time of the year, some madelinetosh sounds like the perfect yarn to keep my fingers from being frozen. I have been frozen in time! I have had no previous knowledge of knitcrate. This was a wonderful, informative interview. You both sounded so lovely and fun. As soon as I finished listening to the KnitCrate episode, I went straight to their website to learn about the December crate. When I saw the reveal of yarn used in the Int/Adv crate (on their blog), I was FROZEN motionless by surprise! Then I immediately purchased the December Try It crate. Plus some needle holders. And I’m still thinking about one of those project bags… Can’t wait to get my crate. Here in the Frozen Midwest, I would love to try Knitcrate. Like Andrea, I love the holidays…possibly because all the birthdays, including mine, in my family are close to Christmas so it is one big celebration, even though we are always frozen this time of the year in Chitown. Happy holidays to all. The garden is frozen and I have a lot more time for knitting these days. Knit Crate is new to me. I’d love to win a box of fun from them. I enjoyed hearing about KnitCrate and will definitely be checking out their web site now that things have frozen outside and allowed for more inside projects. Very interested and exciting news for Knit Crates. I have to admit I’m another Frozen holdout. KnitCrate sounds amazing! Andrea’s comments to beginning knitters has encouraged me. My mom’s furnace just died so I’m feeling a little frozen today. This is the second interview I’ve heard of you and Knit crate. It’s great to see them flourishing. Things may be frozen outside but it’s always cozy when we have great materials like the ones knit crate supplies. I enjoyed the Podcast. I wasn’t sure anout what was involved in KnitCrate before and found it very interesting. As we head to another predicted FROZEN winter, it is time to get the yarn out. Fascinating interview. In this mostly frozen season (hear in the Northeast, anyway) I am encouraged to do more knitting – and add Knitcrate to my Christmas list! I was so intrigued by the podcast that I ordered the December sample knit crate right away. I noticed that Knit Crates is located in my same area code so they must be as frozen right now as I am with all the cold rainy weather we’re having. Perfect knitting weather! But to me, all weather is perfect knitting weather. Another fun interview. I haven’t watched Frozen yet but plan to eventually catch it. In the meantime, I’m knitting away so I don’t become frozen this winter. I have not seen Frozen, but it is scheduled to be our Christmas activity day with my class, so I am sure to enjoy it! It’s going to be a frozen type Christmas here with two little girls. Maybe I will have some new yarn to try from KnitCrate under the tree. hint hint..dear husband. Great show as always, Marly! Oh, I am so tempted to sign-up for Knitcrate. I didn’t know about it until your podcast, Marly! What fun it would be to receive a package of knitting pleasure each month here in frozen Wisconsin! Thanks! Great interview, so interesting to learn how KnitCrate started. And love that other adults like songs from the Frozen movie too! Frozen is an AMAZING movie as the concept of KnitCrate!!! Thank you for such a wonderful interview! This was an amazing episode! Who wouldn’t want yarn delivered to the house and the newbies series is such a good idea. I’m so ordering this for my mom. Hopefully her fingers won’t be frozen when it comes. I enjoyed listening. Thank you Marly. We are not FROZEN yet in Wisconsin, but it sure is knitting weather. SoCal is no where close to frozen but I love to knit and crochet anyway! I learned so much about KnitCrate-thanks! If I were a subscriber, I would totally be frozen in anticipation of the next box. Going to go check it out. I love the concept of knitcrate and will love to try one. We are not near to be frozen in florida but there are many knitters out here who enjoy lightweight sweaters and cowls. I have never watched Frozen! Can you believe it? I am going to be the last person on earth to see it, since you already have Marly. Such a fun listen. I don’t have little kids anymore but I totally loved Frizen! I was nearly frozen this morning when the temperature was only 27. Thank goodness for my knitted scarves. I need to check out Knitcrates, it sounds awesome!! Oh my I would love to try that yarn! 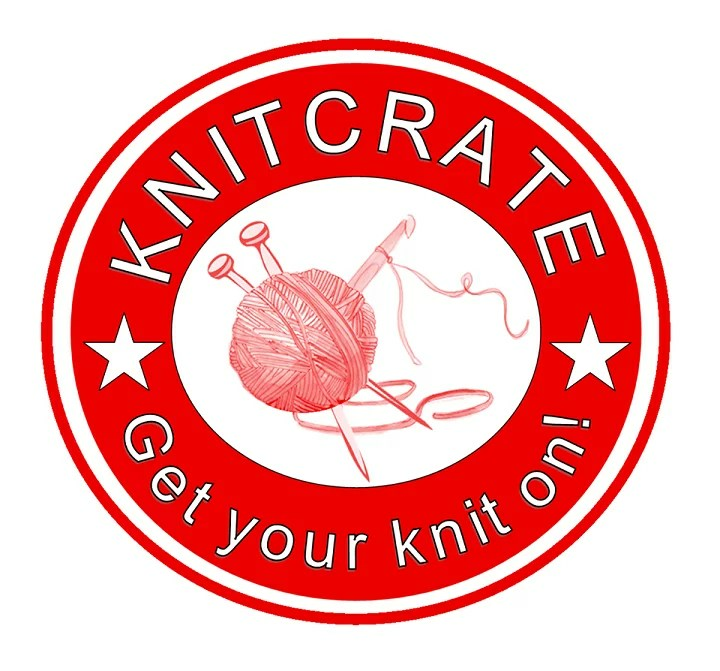 I love the idea of Knitcrate, I’m checking it out right now. Frozen really is everywhere! The conversation between Marly and Andrea left me the opposite of frozen! You’re so warm and wonderful, I’d love to sit and knit or crochet with you both, with goodies from a KnitCrate package, of course! Thanks for yet another entertaining and fascinating podcast Marly! Last month, I ordered 2 skeins of the beautiful Madeline Tosh CARE, to benefit Doctors Without Borders, from Knit Crate. I am turning them into a gorgeous wrap so I won’t be frozen this winter! Marly I really enjoy listening to your podcast while I work in my frozen cube! I hope to knit something with some Madeline Tosh to get warmed up! I love my knitcrate subscription and enjoyed listening to this podcast. I’m currently knitting my first pair of socks to keep my feet from being frozen! Well today has am frozen in alabama and cannot get warm. I need some knitcrate awesomness to get me warm! I love my new tosh twist in the doctors without borders colorway by the way! I was on the knitcrate website before I even finished the podcast! Congratulation of 2 years! I finished listening on a frozen like day with sleet, freezing, rain and snow. I love NY. So great to hear this! I’ve been considering asking for a yarn subscription for Christmas, but there are so many out there. Getting a monthly box of yarn seems like a great way to keep yourself from getting frozen. Listening to this put knitcrate right at the top of my wish list. Knitcrate sounds so cool! I usually like to pick out my own yarns and patterns, but if I were gifted with Knitcrate I wouldn’t say frozen. I mean, no. Adding it to my wish list! Thanks for the podcast! KnitCrate is probably one of the few subscription boxes that don’t arrive frozen during the cold winter months, with all the wooly yarn to keep it warm! I would love to try KnitCrate! I live in Florida so do not need to worry about being frozen, but I knit and crochet all year long! I’d love to try KnitCrate! I’ve been dropping all sorts of hints to my boyfriend and family, but I think I’ll end up being frozen cause I won’t have any new pretty yarn!! Loved the Podcast, from up here near the Frozen Tundra of Green Bay, Wisconsin! KnitCrate is such a wonderful service, and so fun. Have done several try-a-knitcrates and hope for a subscription from Santa this year! I am so tempted by knit crate. I think I can justify it as a basic living expense up in the frozen north! Love Frozen and love the podcast! As a new listener, your laugh is contagious and I find myself chuckling as I listen at work! KnitCrate intrigues me and I plan to check out these wonderful packages of goodness! Behind on listening but loved the interview. I miss my Knitcrate. Had to scale back earlier this year for financial reasons but will be going back in 2015. Frozen was the main theme for my handmade gifts for nieces this Christmas. Frozen here in upstate New York but love your podcast, Marly. Thank. It seems like Frozen has taught many of us good life lessons. I find myself singing “Let it Go” a lot during the holiday crazies and it helps. It’s really great that KnitCrate offers the Try It December option!